The work is being done and so developed. The wind is being run after and before, depending on the daytime and the time of the day. The contours are being traced and connected (not always) with patience. There is time and space to teach, share my knowledge and so grow constantly. The teaching has become an important part of my work and satisfaction of working. Based in BRNO, Czech Republic. – Theatre PôTOŇ, Bátovce, Slovakia//one week residency supported by the Theatre PôTOŇ itself. 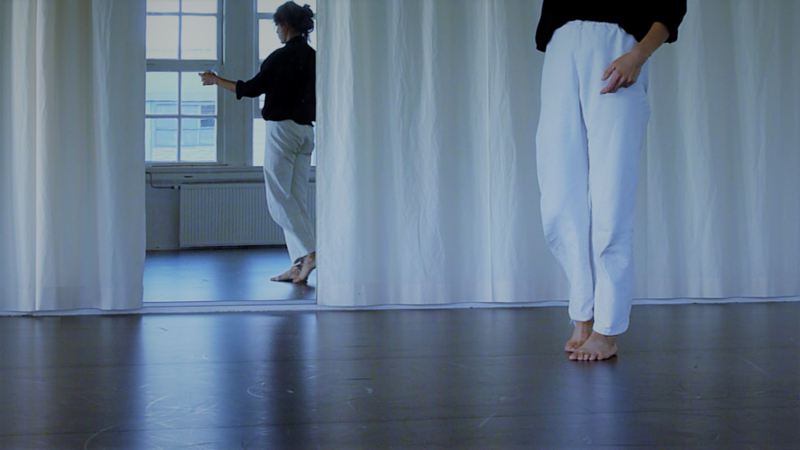 Working on the piece Instead of home – In place of home with two musicians and a visual artist, deepening our communication//+ leading an introspective movement workshop for the local community & presenting the piece – both warmly received by a variety of people, good piece of work done! -Valencia – To come back home! -one week – working for Nitra, Centrum Slniečko, n.o. – New year begins fully by working my dance at Julyen Hamilton´s workshop Evolving technique and making dances, a big privilege to me. December, 2015 Initiating a collaboration to create a piece (NA)MIESTO DOMOVA with musicians (Š. Haládik, Mates Lukáč) and a visual artist and a theatre director (D. Krištofovičová). My article was finally published in paper in Person-Centered and Experiential Psychotherapies. November, 2015 Beginning to work as a dance/movement therapist in Nitra, my hometown, coming for intensive weeks of work. Studying with Lily Kiara, deepening the body work and technique. January, 2015 Julyen Hamilton´s workshop ´Evolving Technique and Making Dances`. Amsterdam. August, 2012 Moving from Valencia, Spain to Rotterdam, NL in a full furgonette across the Pyrenees.